DARYL GURNEY is seeking a dream Unibet Premier League homecoming in Belfast on Thursday, after a perfectly-timed German Darts Championship triumph lifted him up to a career-high third in the world. Gurney claimed his first success on the European Tour circuit on Sunday night, overcoming Ricky Evans 8-6 in the Hildesheim final to rack up his fourth PDC title. The Northern Irish number one defeated three former World Champions on his way to the final, one of whom was Rob Cross who he will face at the SSE Arena on Night Ten. Gurney's £25,000 prize money won saw him jump above Peter Wright and Gary Anderson in the PDC Order of Merit, and the Derry thrower comes into Thursday's clash in top form on the back of three successive Premier League wins. "It's a great feeling to be world number three heading into Belfast," said Gurney. "I was already over the moon to be returning to Belfast, I can't wait for it and to win my first European Tour event just a few days before it is the perfect start. "Heading into this year I knew I was defending a lot of money and I needed to get my act together so this is a welcome win. "I was desperate to win a European Tour event so I could complete a 'mini-Grand Slam' of TV events, ProTours and now a Euro Tour. "Last year in Belfast was one of the most magical experiences of my life, so to get the chance to do it again is a dream come true. I know the place will be absolutely buzzing again." 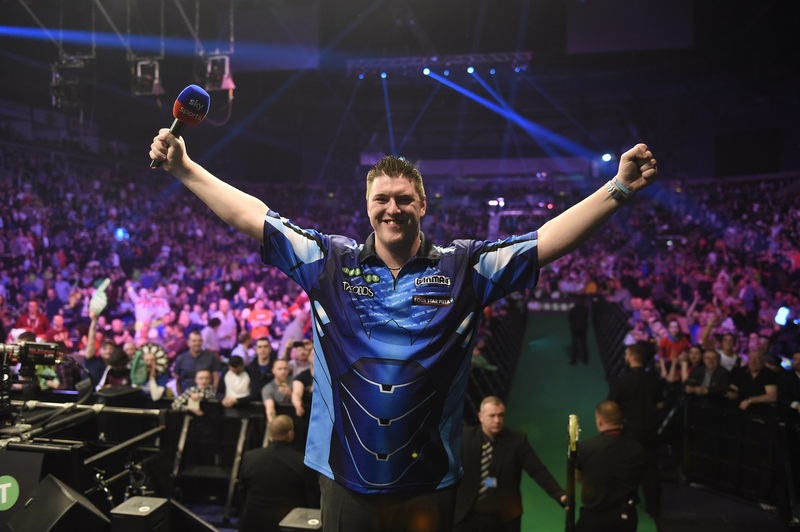 In the 2018 Premier League Gurney made his first big-stage appearance in Northern Ireland as he stepped out at The SSE Arena, and produced a gutsy performance to defeat Cross 7-5 on his way to a fifth-placed finish in his debut campaign. However, less than four months later Gurney was facing a confidence crisis having struggled for form which culminated in a crushing 11-3 defeat to Joe Cullen at the World Matchplay. "In Blackpool last July I thought my career was over," Gurney admitted. "2017 was my best year, it was a very proud year for me, but after struggling for a while in 2018 I wondered if my best darts were behind me. "I'm still a very nervous player but if I can get rid of the nerves then I reckon I've got another three gears to go through. "I keep on trying and hopefully I can keep getting better. In January I said this is going to be my best year and hopefully this is just the start of things to come."